You know him as the legendary MotoGP rider. But there are more interesting facts in Valentino Rossi’s life you may not know about. Valentino Rossi has been racing for his entire life. He first started his professional racing career in the 125 cc class over two decades ago. Since then, he has won the World Championship title for nine times. Born in 1979, Vale is 37 years old now. But it doesn’t stop him from being the man to beat on the race track in MotoGP. Even though it has been seven years since the last time he clinched the world title, he is still very much capable of being the fastest and winning a race. Of course, the past twenty years of his life hasn’t always been smooth. Even until now, there are ups and downs, and even some controversies. Let’s take a look back to his legendary career and pick out ten interesting facts about The Doctor, Valentino Rossi. Prepare yourself for the excessive yellow exposure! Every Valentino Rossi’s fan who has been following his career for decades must have noticed his ritual before the race start. Perhaps, it started as a casual thing. But after years and years of doing it, it has become a ritual he has never missed. It may have some sort of jinx to him. First, right before he rides his bike out from the pit, he would squat beside it and take a moment to pray. In addition sometimes, he would pat or kiss the bike. 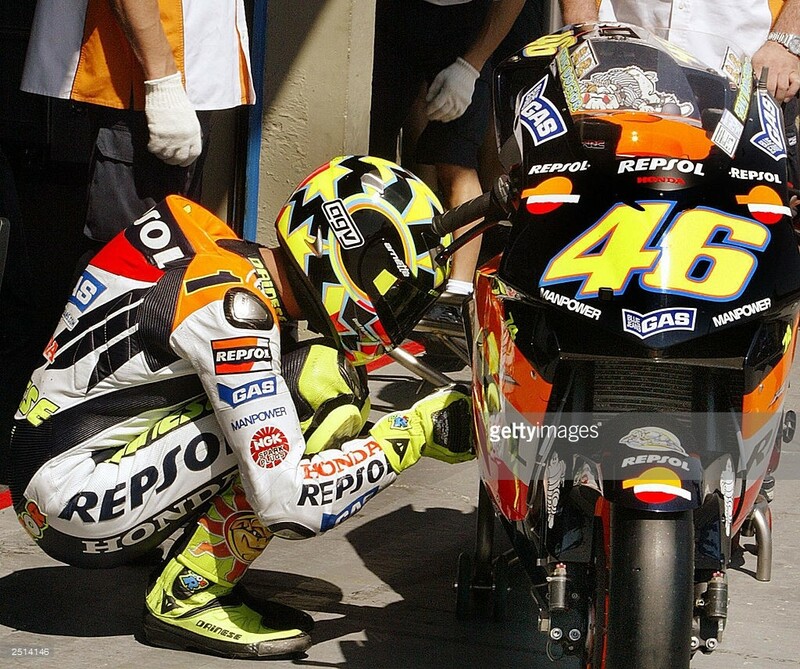 Vale loves the bike he rides, even the one which engine blew off in Mugello last week. Then, right before the start, he would fix his helmet, his gloves, and his wedgie. All eyes on him the next time you watch a MotoGP race!